The Foreign Service Journal is pleased to present our annual Foreign Service authors roundup in plenty of time for holiday orders. Whether you read the listings in print or online, we urge you to visit our online bookstore when a title strikes your fancy. There you will find all the books in this edition, as well as volumes that have been featured in previous years—and more (www.afsa.org/bookstore). Our annotated list of some of the volumes written, edited or translated by Foreign Service personnel and their family members in 2015 and 2016 is not a definitive record of works by FS authors; we rely on the authors themselves to bring their books to our attention. The roundup was assembled with the vital assistance of Associate Editor Gemma Dvorak, Editorial Interns Shannon Mizzi and Katherine Perroots, and Contributing Editor Steven Alan Honley. This year’s list contains six works of history and biography, a solid policy and issues section, eight memoirs, a substantial selection of fiction and three books for young people, in addition to a potpourri of travel, photography, business, culinary and FS parenting books. As usual, we include a list of books “of related interest” to diplomats and their families that were not written by FS authors. 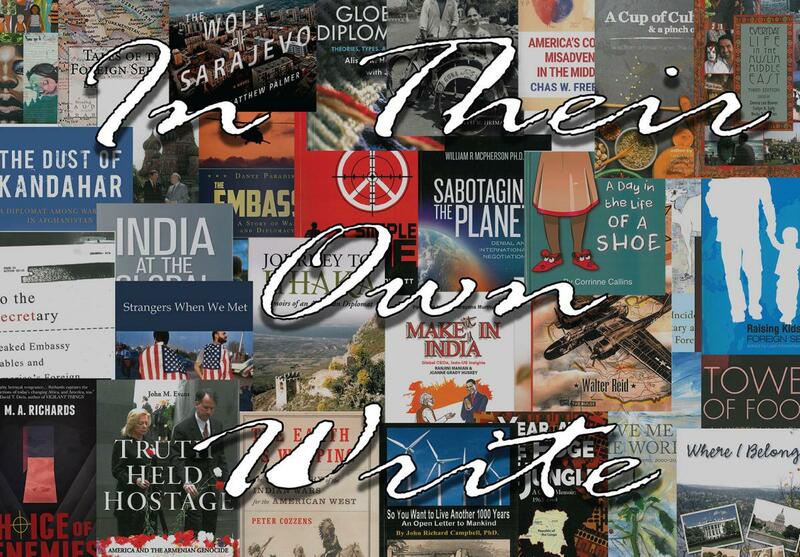 Our primary purpose in presenting “In Their Own Write” annually is to celebrate the wealth of literary talent within the Foreign Service community, and to give our readers the opportunity to support colleagues by sampling their wares. Each entry contains full publication data along with a short commentary. As has been the case for nearly a decade, a majority of the titles are self-published. Once again, although many of these books are available elsewhere, we encourage you to use AFSA’s online bookstore to place your orders. The AFSA Bookstore has links to Amazon and—at no extra cost to you—each book sold there generates a small royalty for AFSA. For the few books that cannot be ordered through Amazon, we have provided the necessary contact information. Peter Cozzens, Alfred A. Knopf, 2016, $35/hardcover, 544 pages. After the Civil War, the United States turned its attention to conquering the Great Plains and the lands beyond, setting off a wide-ranging conflict that would last more than three decades. In this comprehensive, well-researched and beautifully written book, Peter Cozzens weaves together the many particular histories of the Indian Wars to present a multifaceted view of the era. He introduces readers to such fascinating characters as Generals Custer, Sherman and Grant, Crazy Horse, Sitting Bull, Geronimo and Red Cloud. He also dispels some of the myths associated with the period, such as that Indian tribes acted as a unified force against the U.S. army or that the Americans bore a singular malevolence toward Native Americans. 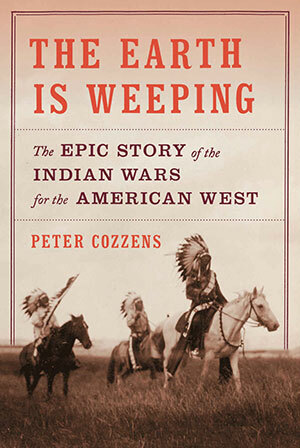 As the action ranges from the events at Wounded Knee to the Battle of Little Bighorn, covering territory from the Great Plains to the Sierra Madre, Cozzens describes such complexities as the intertribal conflicts that sometimes turned extremely violent, as well as the conflicts between the War Department and the Bureau of Indian Affairs. His sources include field research in the West, primary-source accounts of participants and detailed congressional reports on the Indian wars. A former Foreign Service officer, Peter Cozzens received AFSA’s William R. Rivkin Award for Constructive Dissent by a Mid-Level Foreign Service Officer in 2002. The author of 16 critically acclaimed books on the American Civil War and the American West, he is a member of the Advisory Council of the Lincoln Prize and the Literary Society of Washington, D.C. Cozzens and his wife, Antonia, reside in Kensington, Maryland. Louis Sell, Duke University Press, 2016, $27.95/paperback, 397 pages. “The breakup of the USSR in 1991 changed the political map of the world. Misunderstanding what happened then has exacerbated many of the problems facing the United States today. 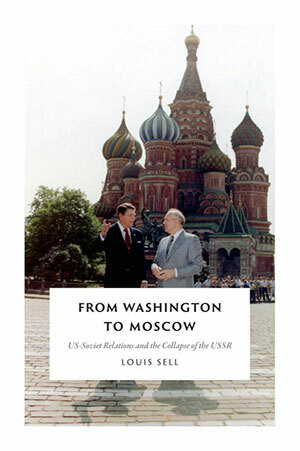 Louis Sell’s From Washington to Moscow takes us back to those turbulent days when Russia cast off most of its empire and gives us a corrective, insider’s view of world-changing events,” says Jack Matlock, U.S. ambassador to the Soviet Union from 1987 to 1991. “This is an important book, an exciting read that is also destined to be an important source for historians of the period,” he adds. As Louis Sell states in the book’s prologue, his aim is to answer the question, “How did the Soviet Union—seemingly so confident and powerful in 1972—disappear less than 20 years later?” To do so, he analyzes the twists and turns of U.S.-Soviet relations during the period bookended by the 1972 SALT I strategic arms accord and the 1993 START II nuclear arms reduction treaty, drawing on personal experience, archival records and firsthand accounts from key participants on both sides. Understanding how the Cold War ended and why the USSR collapsed, he argues, is critical for comprehending how Russia got where it is today. Louis Sell is a retired Foreign Service officer who specialized in Soviet and Balkan affairs during his 27-year career with the State Department. He is the author of Slobodan Milosevic and the Destruction of Yugoslavia (2003). W. Nathaniel Howell, New Academia Press, 2016, $38/paperback, 746 pages. In Strangers When We Met, W. Nathaniel Howell presents the history of Kuwaiti-American relations during the past century. Drawing on personal accounts, official documents and unpublished sources, he tells the story of how two completely different cultures, worlds apart geographically, linguistically, in political systems and in the fundamentals of faith, grew to understand, accept and respect each other. 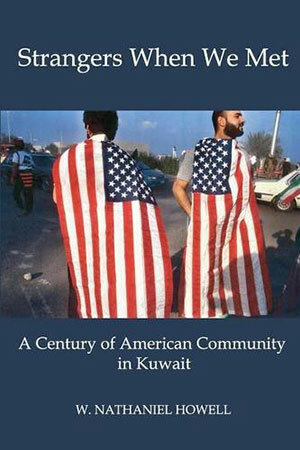 The book traces American-Kuwaiti interaction from the arrival in Kuwait of U.S. doctors, ministers and teachers before oil became a factor to the Iraqi occupation of Kuwait and the First Gulf War, which especially brought the two nations closer together. “Nat Howell’s superb book reminds us of all our two peoples have experienced together over more than a hundred years—and why Kuwait matters,” says Ambassador Ryan C. Crocker of this volume in the Association for Diplomatic Studies and Training’s “Diplomats and Diplomacy” series. W. Nathaniel Howell served as a Foreign Service officer for 30 years in various posts throughout the Middle East, and as U.S. ambassador to Kuwait from 1987 to 1991. After retiring from the Foreign Service, he taught for 23 years at the University of Virginia, retiring as professor emeritus in January 2015. Ali Ezzatyar, Palgrave Macmillan Press, 2016, $129/hardcover, $99/Kindle,234 pages. “A scholarly treat, and food for political thought, as well,” is how Thomas W. Simons Jr., a former U.S. ambassador to Pakistan and the author of Islam in a Globalizing World (2003), describes this book built around a biography of Iranian Kurdish leader Ahmad Moftizadeh (1933-1993). An unlikely Islamic scholar, Moftizadeh was an orthodox Sunni Muslim who was comfortable with the notion of Kurdish nationalism and at the same time socially progressive and devoutly nonviolent. 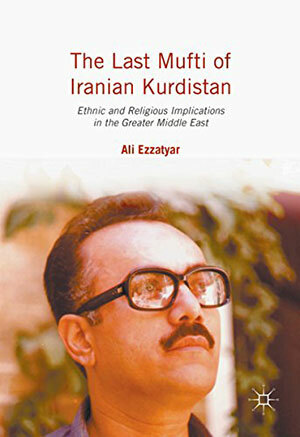 A leader of Iran’s Kurdish population during the Iranian Revolution, he cooperated at first with the new regime until it began reneging on promises to the Kurds. The detailed chronicle of Moftizadeh’s life and work, based on personal interviews and rare documentation in both Kurdish and Farsi, gives an insider’s view of the complex spiritual and political life of Iranian Kurds under the shahs and in the Islamic Republic. In the final section, the author discusses the evolution of Kurdish nationalism, arguing that Kurds have a uniquely constructive role to play as allies of the West in the broader region. Ali Ezzatyar is a Foreign Service officer with the U.S. Agency for International Development. He is currently posted in Tel Aviv, having previously served as resident legal officer in the Office of the USAID Mission Director in Pakistan. Prior to his diplomatic career, he practiced law at various firms and served as executive director of the Center for Entrepreneurship and Development in the Middle East at the University of California, Berkeley. Teresita C. Schaffer and Howard B. Schaffer, Brookings Institution Press, 2016, $32/hardcover, 366 pages. This new title from ambassadorial couple and South Asia experts Teresita and Howard Schaffer chronicles India’s post-independence rise and efforts to reclaim its ancient heritage as a world power through democratic governance and widespread development efforts. 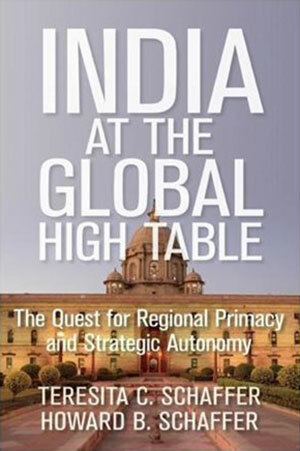 The Schaffers describe how India sees itself on the world stage, and how it has worked to make its vision a reality through an exploration of four major themes: (1) Indian exceptionalism, (2) the country’s determination to be the primary power in the region, (3) its commitment to nonalignment, and (4) its push for international economic power. They also examine the types of partnerships India is likely to make as it emerges as a world player. Teresita Schaffer spent 30 years in the Foreign Service, serving in India and Pakistan and as U.S. ambassador to Sri Lanka, among other assignments. She is the author of India and the U.S. in the 21st Century: Reinventing Partnership (2009) and other works on India and Pakistan, and is currently a visiting fellow at the Brookings Institution. Howard Schaffer spent 36 years in the Foreign Service, serving in India and Pakistan and as U.S. ambassador to Bangladesh. He is also the author of The Limits of Influence: America’s Role in Kashmir (2009) and Ellsworth Bunker: Global Troubleshooter, Vietnam Hawk (2003). He currently holds a teaching position at Georgetown University. The couple co-authored How Pakistan Negotiates with the United States: Riding the Roller Coaster (2011). Dante Paradiso, Beaufort Books, 2016, $26.95/hardcover, $14.95/Kindle, 320 pages. When Liberia was ruled by the ruthless warlord Charles Taylor, two rebel armies opposed him, leading to violent clashes. 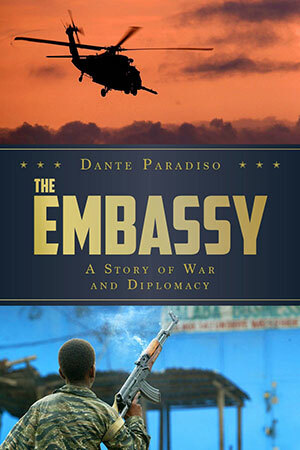 Paradiso has compiled interviews, correspondence and his own personal memories to tell the true story of wartorn Liberia in 2003 and the important role Ambassador John W. Blaney played in promoting diplomacy among the competing factions. When it seemed that Washington was ready to give up on intervention, the ambassador bravely led his team into the heat of the conflict in a last-ditch effort to promote peace on the front lines. Set in the present tense with dialogue, character development and vivid descriptions, Paradiso’s book reads like an action-thriller. By conducting full-length, personal interviews with the ambassador, peacekeepers and foreign correspondents, to name but a few, Paradiso has been able to give events depth and verisimilitude in this retelling. Anyone interested in a career in diplomacy will find this book a thrilling testament to the dedication and resolve of members of the Foreign Service. Dante Paradiso is a lawyer and former Foreign Service officer who served in Asia and Africa. He is the author of a novel, The Pure Life (2000). 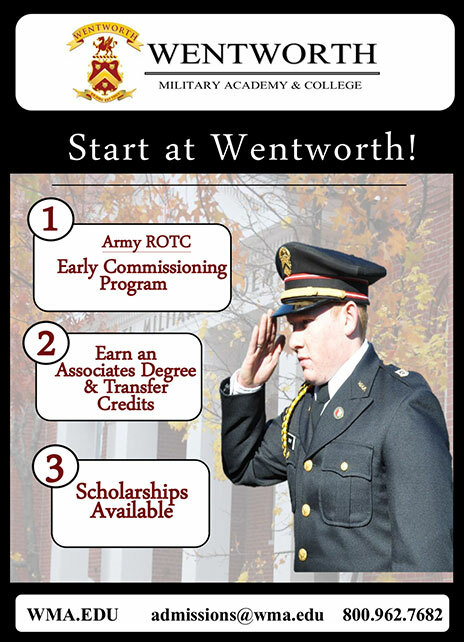 He received the State Department’s Heroism and Superior Honor awards, as well as the U.S. Army’s Superior Civilian Service Award. 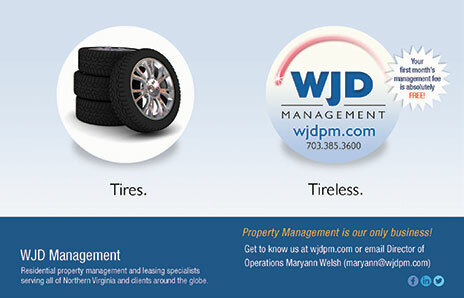 Prior to joining the State Department he practiced financial services and bankruptcy law with Goodwin Procter LLP. 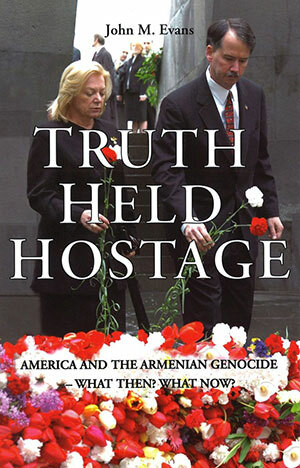 Truth Held Hostage: America and the Armenian Genocide—What Then? What Now? John M. Evans, Gomidas Institute, 2016, $32.00/hardcover, 200 pages. When faced with a moral dilemma that stands in the way of duty to uphold the policies of one’s country, tough decisions must be made, and courageous individuals come into the spotlight. In February 2005, then-U.S. Ambassador to Armenia John Evans publicly used the term “genocide” to describe the Ottoman Empire’s 1915-1916 expulsion and massacre of Armenians settled within what is now Turkey. The United States does not officially acknowledge that action as “genocide.” But, in the course of his work, Evans became convinced that the historical record bears out the Armenian claims of mass murder, and decided that neglecting to label it genocide is morally wrong. Evans explores the historical significance of U.S. policy on the issue in this memoir. He explains his reasons for defying the status quo, even though he knew it could cost him his career. A companion volume, Therefore, God Must Be Armenian!, contains talks and other public statements on the issue by Amb. Evans between 2007 and 2012. During a 35-year Foreign Service career, John Evans served in posts around the world, achieving the rank of Minister-Counselor. He served as U.S. ambassador to Armenia from 2004 to 2006. He lives in Washington, D.C., with his wife, the former Donna Chamberlain. Chas W. Freeman Jr., Just World Books, 2016, $19.99/paperback, 250 pages. 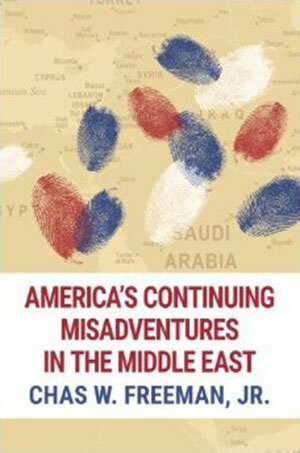 This work, a revised and updated edition of the author’s 2010 book, America’s Misadventures in the Middle East, is a collection of speeches given by the retired career ambassador on U.S. policy toward the Middle East during the past five years. “A characteristically sharp and unapologetic critique of America’s role in the Middle East” is how Ambassador William J. Burns, former Deputy Secretary of State, describes the book. “This is a key exposition of major errors and foibles of policy and execution along with critical ideas for the major course corrections that should be pursued to get us out of the deep holes Freeman shows clearly we and others have dug for ourselves,” says former U.S. under secretary of State and six-time ambassador Thomas R. Pickering. During more than 30 years in the Foreign Service, Chas Freeman served as U.S. ambassador to Saudi Arabia during Desert Shield and Desert Storm; designed NATO’s transformation into a Europe-wide security system; and helped negotiate deals removing Cuban troops from Angola and ending South African rule of Namibia. He was principal American interpreter during Richard Nixon’s 1972 visit to Beijing. Amb. Freeman retired in 1994 after serving as assistant secretary of defense for international security affairs. Mary Thompson-Jones, W.W. Norton & Company, 2016, $27.95/paperback,384 pages. All readers interested in diplomacy and what Foreign Service officers actually do all day will benefit from sitting down with this fast-paced book based on the State Department cables seized by hackers and published by WikiLeaks in November 2010. Mary Thompson-Jones uses the cables to highlight the obvious, as well as the more subtle, problems that diplomats face each day and the skills they employ to solve them. 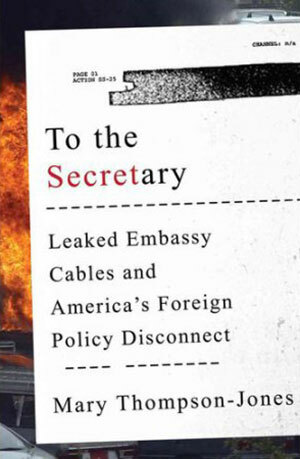 Most Americans will never see a diplomatic cable, and the author has chosen revealing ones depicting the realities of embassy life, diplomacy in conflict zones and attempts to resolve conflicting interests in America’s highly politicized foreign policy. The book is at its best when examining the wide gap between what these cables report and what Washington-based policymakers do with them. According to Alan K. Henrikson of Tufts University’s Fletcher School of Law and Diplomacy, “Whatever the embarrassment [the WikiLeaks cables] caused, they demonstrate why American foreign policy should be, but too often is not, shaped by the perspectives, knowledge and perceptions of experienced diplomats in the field.” (See retired FSO Damian Leader’s review.) A retired FSO, Mary Thompson-Jones is director of the global studies and international relations program at North-eastern University. She lives in Boston. 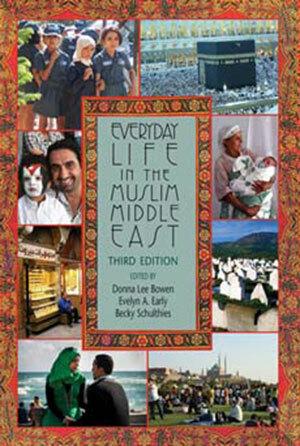 Donna Lee Bowen, Evelyn Early and Becky Schulthies, eds., Indiana University Press, 2014, $30/paperback, 504 pages. At a time when the Middle East seems a region exclusively characterized by violent conflict and intense politics, Everyday Life in the Muslim Middle East depicts daily life for the average citizen in various countries. A collection of essays by expert researchers that have been curated by three editors with subject expertise as well as firsthand experience of everyday processes in the region, the book takes readers behind the newspaper headlines to grasp the realities of life in the modern Middle East. This third and substantially updated edition is distinct in its analysis of more recent developments, such as the influence of social media on the everyday lives of Middle Eastern citizens and the changing status of gay rights. The book is divided into sections, such as “Generations and Life Passages,” “Gender Relations” and “Islam in Practice,” each containing several topical essays. “What makes this book special is that so many of its contributors really are able to get inside what is going on in the Muslim Middle East, the so-called Arab ‘street,’” says retired FSO Stephen W. Buck in his review of the book (see the March FSJ). Donna Lee Bowen is a professor of political science and Near Eastern studies at Brigham Young University. Evelyn Early is a former Senior Foreign Service officer and now works as an anthropologist and consultant. Becky Schulthies is an assistant professor of anthropology at Rutgers University. Damon P. Coppola, Elsevier Publishing Company, 2015, $99.95/paperback, 734 pages. 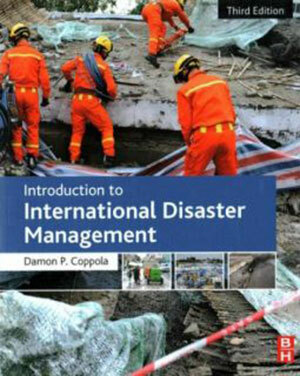 The third edition of Damon Coppola’s comprehensive guide to global emergency management and humanitarian affairs, Introduction to International Disaster Management is an important academic resource for understanding disaster mitigation and the international policy involved. This textbook provides useful study tools such as chapter summaries, key terms and easy-to-understand charts. The topics of chapters include the history of emergency management, the definition of hazards, assessing vulnerability and risk, and the players involved in international disasters. This updated version explores statistical data and international responses to recent disasters, as well as expanding the analysis of small-island developing states. It also addresses the United Nations Hyogo Framework for Action, a 10-year plan completed in 2015, and the Post-2015 Framework for Disaster Risk Reduction, which is still under development. The final section of the book discusses the complexities of coherent disaster management on an international scale and predictions for disaster management moving forward. Damon Coppola, the husband of FSO Mary Gardner Coppola, is a partner with Bullock and Haddow LLC, a disaster management consulting firm, where he has worked with the World Bank Group; the Institute for Crisis, Disaster and Risk Management; and the U.S. Army Corps of Engineers. An adjunct faculty member at the Loma Linda University School of Public Health, he has authored and co-authored more than a dozen academic and professional emergency management textbooks. Damon P. Coppola, Jane Bullock and George Haddow, Elsevier Publishing Company, 2016, $94.95/paperback, 742 pages. 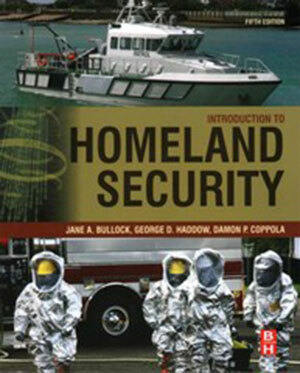 This book is a comprehensive guide to the field of homeland security, including its history and a look at the current threats the United States faces post-9/11. Focusing on emerging threats such as cybercrime, this fifth edition explores the complexities of a changing security environment that relies more heavily on computer technology and the private sector than ever before. Also new to this edition are analyses of the Department of Homeland Security’s “Blue Campaign” to stop human trafficking and the National Institute of Standards and Technology’s Cybersecurity Framework for critical infrastructure protection. The final chapter examines unresolved issues in the field and the potential future of this discipline. Each of the 11 chapters includes such helpful features as “What You Will Learn,” “Critical Thinking” and “Key Terms.” Also included throughout the text are online references so readers can access the most up-to-date information on issues or programs. 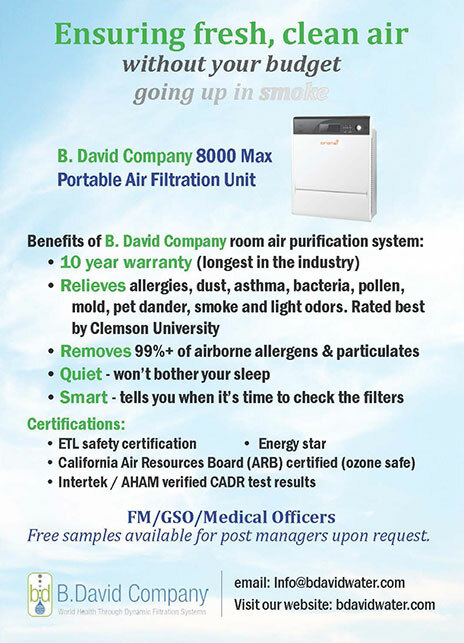 Damon Coppola, the husband of FSO Mary Gardner Coppola, is a partner with Bullock and Haddow LLC, a disaster management consulting firm. Jane Bullock was a member of the Clinton administration’s communication team for the Y2K issue and most recently served as chief of staff to James Lee Witt, director of the Federal Emergency Management Agency. George Haddow, an adjunct professor at the Homeland Security Studies program at Tulane University, previously served as White House liaison and deputy chief of staff in the Office of the Director of FEMA. William R. McPherson, CreateSpace, 2016, $15/paperback, $9.99/Kindle, 254 pages. The Paris Agreement on Climate Change, commonly known as COP 21, that saw 195 countries commit to reducing greenhouse gas emissions, marks a major turning point in international efforts to combat climate change, argues climate change and environmental policy specialist William McPherson. This book tells the story behind that landmark agreement. 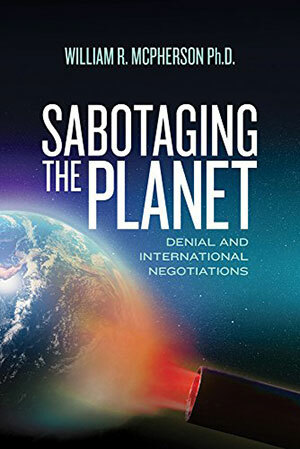 Chapters address the recent history of international negotiations on climate change; climate change denial in the U.S. Congress; the history of the Paris Agreement and an assessment of its successes and failures; and global governance methods for reducing carbon emissions, such as carbon budgets and climate courts, border taxes and enforcement. A vocal minority of the American population still denies that climate change is occurring. McPherson argues that American politicians who may believe the science behind climate change will often cite anti-climate change pseudoscience when they don’t favor a certain legislative action on global warming. This is a good reminder that the Paris Agreement was by no means inevitable; it faced considerable opposition from developed as well as developing countries. William R. McPherson spent 21 years in the Foreign Service, serving in Japan, Korea, the Philippines and Switzerland, among other assignments. In retirement he has worked on international environmental issues and is an activist with the Sierra Club on climate change and coal exports. His previous book, Climate, Weather and Ideology: Climate Change Denial (2015), looks at the roots of the movement and its adherents’ motives. John Richard Campbell, Blurb.com, 2015, $4.79/paperback, 52 pages. 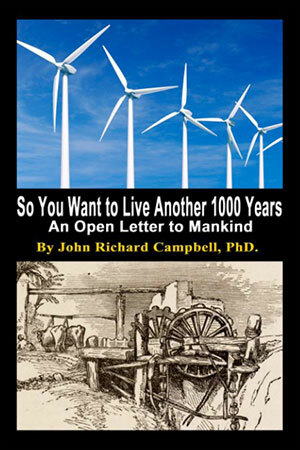 A witty explanation of the environmental destruction humans have caused in modern times, So You Want to Live Another 1,000 Years explores the scientific implications of manmade pollution. Campbell offers a cause-and-effect argument for reducing our ecological footprint worldwide, lest the destruction of the planet pass the point of no return. He presents harrowing facts on recent climate change and the likely impact, followed by methods to reduce pollution and the policy implications involved in the process. This “Open Letter” is a formidable warning, but includes recommendations that offer hope. John Campbell is a former Foreign Service officer who served overseas in Vietnam, including three years in psychological operations, among other postings during his 14-year diplomatic career. Prior to joining the FS, he was a bombardier in World War II and served as an education adviser in the U.S. Air Force. Later he became a university instructor and administrator. He also served as a tour director in Western Europe for 25 years. Lillian Craig Harris, New Academia Publishing, 2016, $32/paperback, 334 pages. The 57 short essays that make up this book, a volume in the Association for Diplomatic Studies and Training’s “Memoirs and Occasional Papers” series, set the scene for understanding the difficulties now faced by Egypt. 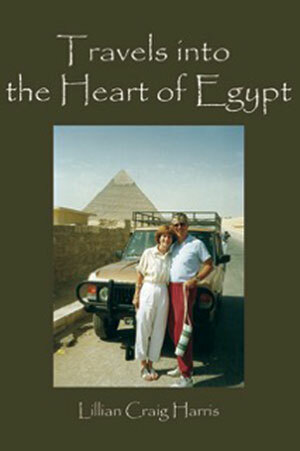 Written between 1990 and 1995—when the author, a former member of the U.S. Foreign Service, and her husband, Alan Goulty, a British diplomat, lived in Cairo and traveled widely in the country—the essays explore Egypt’s capital and its cities, deserts, communities, monasteries and general circumstances at a time when the kind of disquiet that culminated 20 years later in the so-called Arab Spring was already widespread. No academic treatise or footnoted work of history, the collection is based on Harris’ observations of the tumultuous landscape in Egypt: its political malaise and extremism, economic fragility and the wealth gap, and threats to the environment and to the country’s rich cultural heritage, as well as perennial social issues such as the Muslim-Christian divide, women’s rights, population pressure and leprosy. A Foreign Service officer from 1976 to 1986, Lillian Craig Harris is the author of nine books and has taught at Georgetown University, the American University in Cairo, Haigazian College in Beirut and Wheaton College. She was awarded the Cross of St. Augustine in 2002, received an honorary doctorate from Ahfad University for Women in Omdurman, Sudan, in 2006 and was appointed an Officer of the British Empire in 2007 for charitable work in Egypt and Sudan. Jonathan S. Addleton, Naval Institute Press, 2016, $32.95/paperback, 272 pages. After serving as senior civilian representative to southern Afghanistan in wartorn Kandahar from 2012 to 2014, Jonathan Addleton was forever changed by both the intense violence and rich cultural interaction he experienced there. In The Dust of Kandahar he recounts and reflects on this experience. A continuation of his article by the same name published in the October 2015 issue of The Foreign Service Journal, this moving account—which includes his experience of surviving a Taliban bomb that killed two of his Foreign Service colleagues—is a courageous testament to the work of the men and women of the Foreign Service. Addleton tells about his life in Afghanistan, attending the Purple Heart ceremonies for soldiers, conversing with Afghan citizens and living behind barbed wire fences. 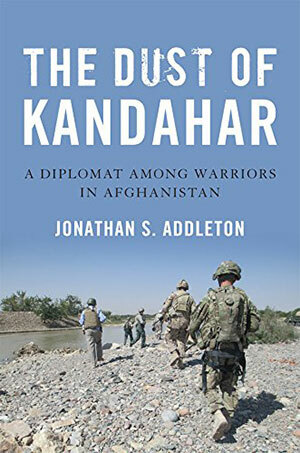 Even after returning home, Addleton says, he never quite left Afghanistan behind, and his memoir explains why. An emotionally stirring and dramatic read, this memoir will put into perspective the work of the Foreign Service on the ground in dangerous environments. FSO Jonathan Addleton is USAID mission director in India. He was USAID mission director in Mongolia from 2001 to 2004 and served as U.S. ambassador to Mongolia from 2009 to 2012. He is the author of Mongolia and the United States: A Diplomatic History (2013). He is the 2014 recipient of AFSA’s Christian A. Herter Award for Constructive Dissent by a Senior Foreign Service Officer. Charles A. and Teresita McGinley, Lulu Press, 2010, $15/paperback, 116 pages. 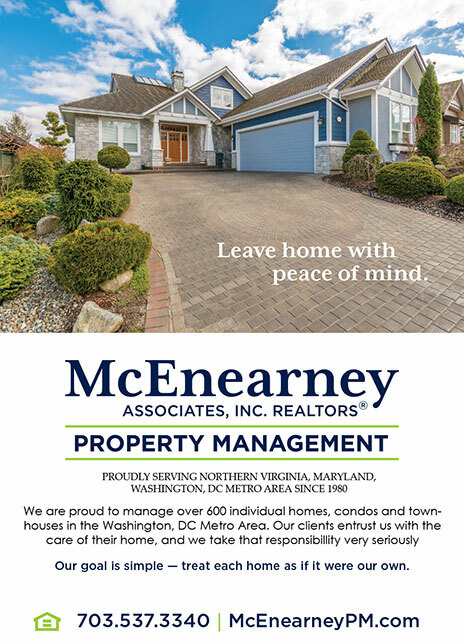 The McGinleys served mostly in Asia—the Philippines, Thailand, Taiwan, Hong Kong, South Vietnam and Australia—as well as in Libya, Iran and Washington, D.C. The couple’s eldest daughter, Nancy McGinley Ostrovsky, has contributed exquisite ink sketches to this volume that give a real sense of those locales. Dave Grimland, Lulu Press, 2015, $14.99/paperback, $8.99/Kindle, 234 pages. During a 28-year career as a Foreign Service officer with the U.S. Information Agency and later the State Department, Dave Grimland encountered hardship, joy and, most of all, rich cultural experiences. His memoir chronicles his time with the United States Information Service in Greece, Cyprus, Turkey, Bangladesh and India from 1967 to 1995. His position in public affairs gave him a unique perspective into the lives of citizens and the local politics in each country in which he lived, and he shares stories from each location. At times humorous and witty, at times tragic and serious, Grimland highlights specific aspects of each place in hopes of providing readers with a new perspective on cultural differences. He discusses the tragic events in Cyprus in 1974 when the ambassador was killed, but also offers droll accounts of his mishaps on foreign terrain. 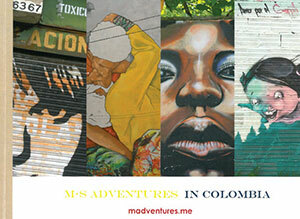 Always entertaining and thoughtful, this book is a virtual travel guide for readers. Dave Grimland retired from the Foreign Service in 1995 and lives in Columbus, Montana. He was featured in a 2007 Los Angeles Times article about his efforts to counter negative images of the Muslim world. Frederic Hunter, Cune Press, 2015, $19.95/paperback, $9.95/Kindle, 247 pages. In the early 1960s, the U.S. government decides to establish an American Cultural Center in Coquilhatville—Coq for short, now known as Mbandaka—in the remotest province of the Democratic Republic of the Congo. But each officer assigned to staff the office refuses in turn to go, calling Coq a hellhole. Enter Fred Hunter, a young U.S. Information Agency officer who had just completed training in Belgium. Why not send him into “the heart of darkness,” a trusty typewriter his only friend? Quoting liberally from letters to his California family he wrote on that typewriter more than half a century ago, Hunter’s memoir recounts his adventures during that tumultuous year. 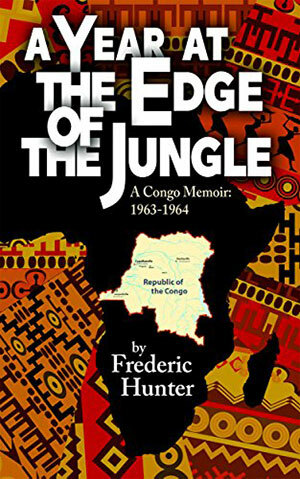 Frederic Hunter served as a Foreign Service officer with the United States Information Service in Brussels and at all three posts in the Republic of the Congo: Bukavu, Coquilhatville and Léopoldville. He later became the Africa correspondent of The Christian Science Monitor, based in Nairobi. While a graduate student in African studies at the University of California, Los Angeles, Hunter wrote “The Hemingway Play.” Given a staged reading at the O’Neill Playwrights Conference, it was presented at Harvard’s Loeb Drama Center and produced by PBS. That led to opportunities to write screenplays for 20th Century Fox, ABC, CBS, PBS and others. A Year at the Edge of the Jungle is Hunter’s sixth book. He blogs at TravelsinAfrica.com. Danielle Flood, Piscataqua Press, 2016, $19.95/paperback, 375 pages. Danielle Flood recounts her search for her biological father after her stepfather, FSO Jim Flood, the only father she ever really knew, and her French-Vietnamese mother divorced in 1957 when she was 8. Living a privileged but isolated childhood, she trails along across the United States and around the world behind her eccentric mother, who leaves her in burlesque house dressing rooms in the Midwest, in convent schools on Long Island and in Dublin, and with complete strangers in New York City. Flood chronicles her complicated relationship with her mother and reveals how she finally discovered the truth about her parents’ life in Saigon in the late 1940s and early 1950s, finally understanding a little more about who she truly is. A writer for the Associated Press in New York City and staff reporter for five regional papers, Danielle Flood has a graduate degree from the Columbia Journalism School and lives in southern Maine with her husband, artist Jim Morin. Michael Hacker, Book Arts, 2016, hardcover, 742 pages. 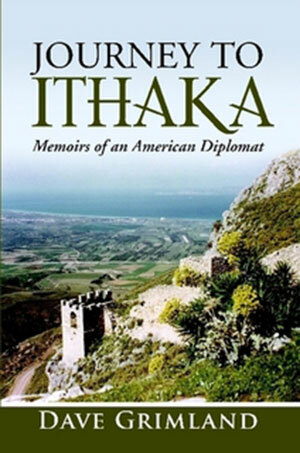 The inspiration for this memoir by retired USAID Senior Foreign Service Officer Michael Hacker began one morning when the diplomat-turned-history teacher was on his daily three-mile run and the thought occurred to him that he didn’t know how his late parents had met and didn’t know much about his family’s history. Hacker asked his siblings, and they didn’t know, either. Thus began a decade-long quest to uncover the story of his ancestors—the Hackers, Jones and Vanzandt families. His extensive research and travel in pursuit of the family narrative culminated in this weighty limited-edition volume. Complete with a center section of photographs and documents from Hacker’s life and work, Far Away Places was printed and bound by The Book Arts Conservatory in Washington, D.C. 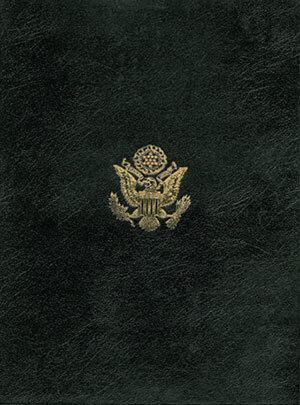 The tanned boar-skin cover bears the Great Seal of the United States stamped in 23kt gold. The initial print run of 100 is for family members, co-workers and select libraries. A more affordable e-book version is contemplated. Michael Hacker was born in Springfield, Missouri, in 1938. 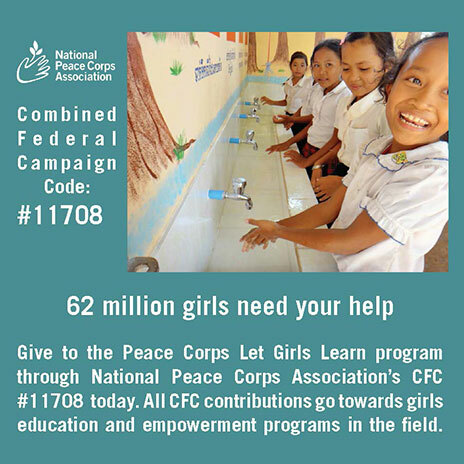 He served in the U.S. Navy and went on to join the Peace Corps. He joined the Foreign Service at USAID in 1968 and served in Vietnam, the Philippines, Ecuador and Panama. He retired in 1996 after 30 years of government service. Judith Heimann, Ohio University Press, 2016, $26.95/paperback, 246 pages. 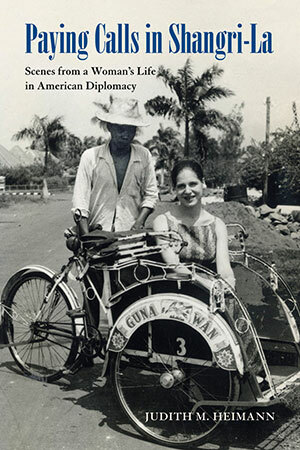 A unique look into Foreign Service life, Judith Heimann’s memoir tracks the author’s transition from Foreign Service spouse to Foreign Service officer to frequently rehired annuitant over the course of a 50-year career. It is an exciting and educational read, particularly for anyone interested in a diplomatic career. Heimann begins with an account of her arrival as an FSO in Mobutu Sese Seko’s Zaire in 1978, an assignment she had not sought. To her surprise, as she tells it, colleagues and Congolese dissident politicians there help her fulfill her wish to become a diplomat in her own right. 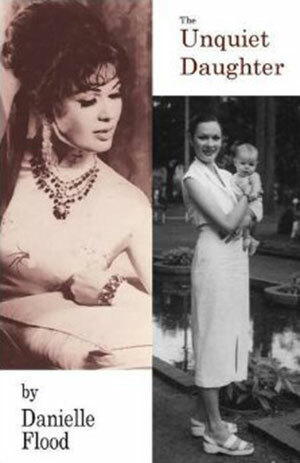 The story then flashes back to 1958, when she accompanied her husband, FSO John Heimann, on assignment to Jakarta and began learning the subtle arts of diplomacy. From there, her own career experiences take the reader through Asia, Africa and Europe. 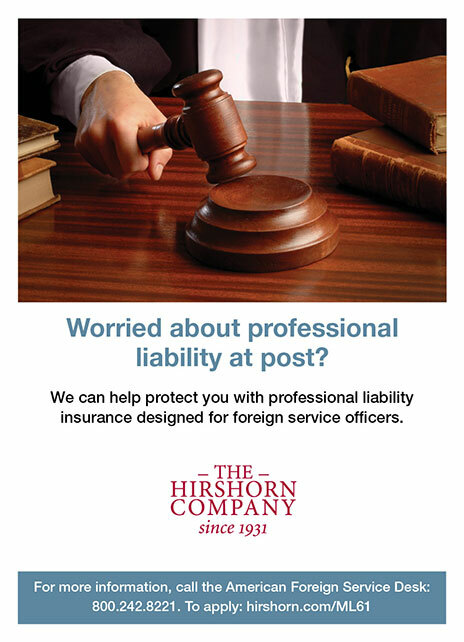 Judith Heimann has spent most of her life in the Foreign Service. She is the author of The Most Offending Soul Alive (1999), a biography of the controversial English cultural anthropologist Tom Harrisson (1911-1976), and The Airmen and the Headhunters (2007). She later co-authored the award-winning PBS documentary about the latter book. Richard L. Jackson, Hamilton Books, 2016, $29.95/paperback, 260 pages. 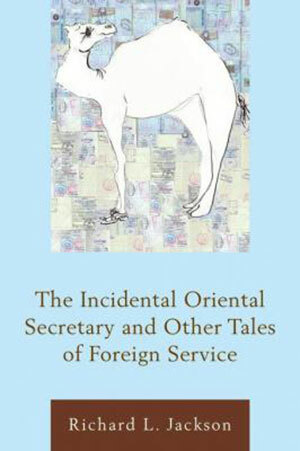 Described by the author as an “anti-memoir,” The Incidental Oriental Secretary seeks to demonstrate and make sense of the changing nature of American diplomacy over the span of a career. From “the days when diplomats used shoe leather to meet contacts over green tea in the medina or, yes, even on the golf course” to the high-security environment that now characterizes the Foreign Service, this book tells the story of the transformation of diplomatic practice in just the past few decades. In his foreword, retired Ambassador Frank G. Wisner describes the book as “rich in detail, superbly written and often gloriously funny.” Because he regards memoirs to be the least credible of genres, Jackson shares memorable or funny anecdotes and how they related to the wider world at the time rather than relying on a surely faulty memory to recall every event in his own life. While his accounts of working across cultures are often full of humor, Jackson also portrays the tragedy he has witnessed in some countries, showing just how multifaceted professional diplomacy truly is. This volume is part of the Association for Diplomatic Studies and Training’s “Diplomats and Diplomacy” series. During a 30-year Foreign Service career, Richard L. Jackson served in Somalia, Libya, Greece, the United Nations, Morocco and Washington, D.C. He later served as president of Anatolia College in Thessaloniki for 11 years before becoming an international consultant on higher education and a freelance writer. Laura Merzig Fabrycky, Saar River Press, 2015, $11.99/paperback, 102 pages. 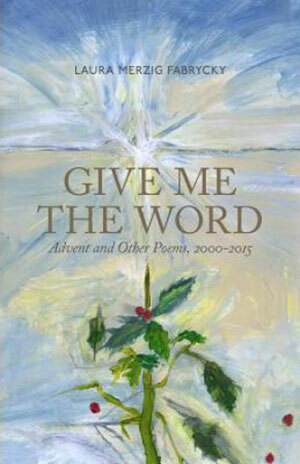 Fabrycky’s Advent and Christmas poems recall the story surrounding the birth of Jesus and the holy family’s travails, a recounting so often obscured by the commercialization of the season. A couple of these musings were no doubt inspired by life in Amman, where Fabrycky, her children and her FSO husband, David, were posted. Other poems in the collection include observations about the early years of the Arab Spring in 2010 and 2011, and writings from when she resided in the Washington metropolitan area or her time as a student at Virginia Theological Seminary. Laura Merzig Fabrycky is a freelance writer, editor, poet and essayist. Her work has appeared in Books & Culture, The Review of Faith & International Affairs and Christianity Today, among other publications. She is an occasional contributor to The Foreign Service Journal (see her “Reflections: Road Trip to Syria, 2011” in September and “Rethinking the Role of ‘Madam’: Kafala and the U.S. Foreign Service” in December 2013). She and her family currently live in Berlin. Ben A. East, New Pulp Press, 2016, $14.95/paperback, 275 pages. 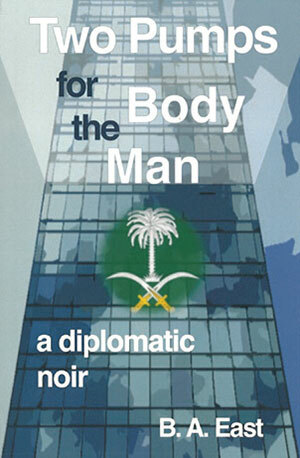 Part soft-boiled noir, part literary satire, this novel follows the exciting, dangerous career of Jeffrey Mutton, a Diplomatic Security Agent assigned to protect State Department officials in a Middle Eastern country. “A wonderfully wacky consular bash in a nightmarish place straight out of Catch-22…haywire bureaucracy at its finest,” is the way Robert Bruce Cormack, author of You Can Lead a Horse to Water (But You Can’t Make It Scuba Dive), describes the book. Mutton has survived an array of near-death experiences, including car bombs, hijackings and enemy threats. Now, however, he must face up to the ultimate danger—his obsession with feet. He can’t stop thinking about toes and ankles, strappy sandals or heels, closed-toe or open-toe. But he has to deal with terrorists who want him dead, a consul general who wants big parties and a secretive new branch of government demanding “intel” to support the war on terror. The enemy is everywhere. Can he handle it? Ben East is a former Foreign Service public diplomacy officer, whose assignments ranged from Saudi Arabia, Nicaragua, Ghana and Mexico to Washington, D.C. Prior to his diplomatic career, he served as a Peace Corps Volunteer teaching English in Malawi and taught at the Brooklyn College Academy in New York City and at the American School of Asuncion in Paraguay. Two Pumps for the Body Man is his debut novel. Shawn A. Kobb, CreateSpace, 2016, $10.99/paperback, 222 pages. A serial killer is preying upon students at the University of Vienna. One of the victims is a friend of American exchange student Jake Meyers, who up until the murder was more concerned about pulling himself together than following the unnerving reports of a killer on the loose. When Jake’s study group decides to turn their class project into creating a profile of the murderer, they find themselves on the killer’s hit list. Those closest to Jake become pawns in a murderer’s game, the rules of which are unknown. 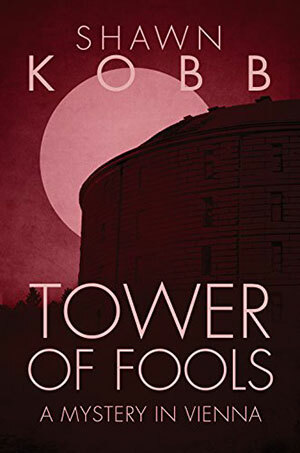 With assistance from an American consular officer and an Austrian detective, Jake Meyers must solve the mystery before he becomes the next victim. Anyone who likes “The Third Man,” the 1949 film noir classic that takes place in post-World War II Vienna, and the “Scream” franchise will enjoy this thriller. FSO Shawn Kobb is presently posted in Vienna, Austria, with his wife, Jennifer. He has served in Ukraine, the Bahamas, Afghanistan and Washington, D.C. Before joining the Foreign Service in 2006, he worked as a 911 dispatcher in Portland, Oregon, where—as he puts it—he had ample opportunity to develop plot ideas while speaking on the phone with crime victims, murderers, naughty children and schizophrenics. Walter Reid, CreateSpace, 2016, $9.95/paperback, $4.99/Kindle, 212 pages. The ambitious son of an American icon, Elliott Roosevelt has always felt like the “black sheep” of his family. 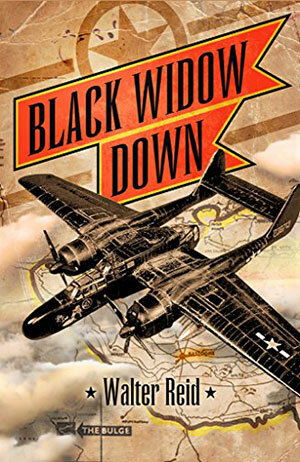 But by putting together an elite aviation squadron during World II, he believes he will make a real difference to the war effort—and finally make a name for himself in the process. A key member of Elliott’s team is his friend Russell King, who flies experimental reconnaissance flights before the Battle of the Bulge. But when intelligence reveals a deadly situation he has unwittingly sent his pal into, Elliott must face unforeseen dangers and use all the influence at his disposal to pull Russell out of harm’s way—before it’s too late. Walter Reid, a political-coned Foreign Service officer, has served in Kabul, Geneva, Baghdad and the U.S. NATO Mission in Brussels, where he wrote this novel, his first. Russell King was the author’s great uncle, so Reid was able to draw on family stories passed down for generations, as well as his own extensive research. The result is a blend of history, biography and fiction that is greater than the sum of its parts. Prior to joining the Foreign Service, Reid served in the U.S. Navy and worked in the information technology industry. He has taken part in the Bastogne commemorative perimeter march and enjoys touring World War II battle sites. M. A. Richards, Sunbury Press, Inc., 2016, $24.95/hardcover, $16.95/paperback, $4.99/e-book, 224 pages. Light, sweet crude is the mother’s milk of the Niger Delta. As the price for each barrel of oil rises on international markets and the stakes for securing the black gold increase, a consortium of American oil companies and the U.S. Central Intelligence Agency plot to secure the flow of the crude. 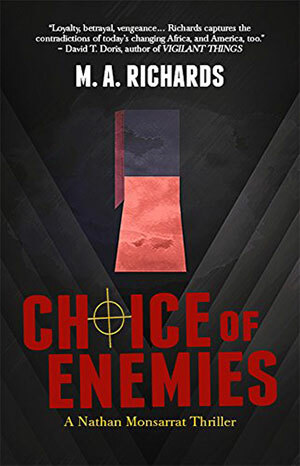 Nathan, a retired CIA deep-cover operative and now dean at a small college in Massachusetts, gets a visit from his former mentor at the agency, who offers him a stark choice: either go back to Africa to lay the groundwork for a coup d’état, or condemn the woman who saved his life to a brutal execution. Out of options, he returns to Africa. There, with the help of a coterie of new and old allies, as well as his own keen intelligence, sharp wit and considerable charm, Nathan parries the agency, circumvents the consortium and exacts his own vengeance. This book is a finalist for both the Silver Falchion Award and the Royal Palm Literary Award for Best Thriller of 2016. A second title in the series, A Thousand Enemies, is soon to be released. During a Foreign Service career as a cultural attaché with the State Department that spanned more than two decades, M. A. Richards served in Baghdad, Jerusalem, Lagos, Moscow, Seoul, Tel Aviv, Washington, D.C., and as a special adviser to the commander at U.S. Pacific Command in Honolulu. He now divides his time between Palm Beach and Tel Aviv. Matthew A. Palmer, Putnam Publishing Group, 2016, $28/hardcover, $13.95/Kindle, 390 pages. 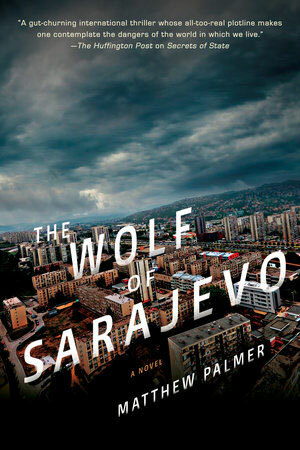 As this riveting new novel of international suspense from acclaimed author and diplomat Matthew Palmer opens, 20 years after the Srebrenica massacre that claimed the life of a friend and colleague, U.S. diplomat Eric Petrosian is back in Sarajevo, and the specter of war once again hangs over the Balkans. Dragged deeper into the political maelstrom, Eric uncovers a plot of blackmail and ruthless ambitions and faces an impossible choice: use the information he’s uncovered to achieve atonement for the past, or use it to shape the future. During his May 24 appearance in AFSA’s Book Notes series, Palmer described his novels as “a love letter to the Foreign Service,” a profession he feels is frequently misunderstood. His goal is to turn that misconception on its head, making FSOs the heroes and giving the public some insight into the varied roles U.S. diplomats take on, both at home and abroad. Matthew Palmer is a 25-year veteran of the U.S. Foreign Service and a member of the Council on Foreign Relations, who currently serves as the director for multilateral affairs in the State Department’s Bureau of East Asian and Pacific Affairs. Among many other assignments, he was posted twice to Embassy Belgrade: initially as a first-tour officer at the height of the war in Bosnia and, more recently, as political counselor. His experiences in the region served as inspiration for The Wolf of Sarajevo. Stephanie Smith Diamond, Amazon Digital Services LLC, 2015, $12.99/paperback, $2.99/Kindle, 352 pages. When Maggie Flannigan is unsure if she is ready to marry Thomas, an all-American boy, she suggests the two hike Mount Kilimanjaro to bring them closer. However, Maggie’s adventurous spirit clashes with Thomas’ reluctance to step out of his comfort zone, and he ultimately backs out of the trip. Determined to climb the mountain on her own, Maggie embarks on a weeklong trip but finds herself in an unexpected situation. She hates to ask for help, but eventually accepts it from an unlikely stranger. Diamond expertly develops their relationship as Maggie makes her own journey of self-discovery, questioning everything she’s ever thought about love and life, against the magnificent backdrop of the African savanna. The author employs rich, descriptive language and clever plot developments in this modern romance that will keep the reader intrigued. Her debut novel explores the question of where is home when one is unsure of what she truly wants. 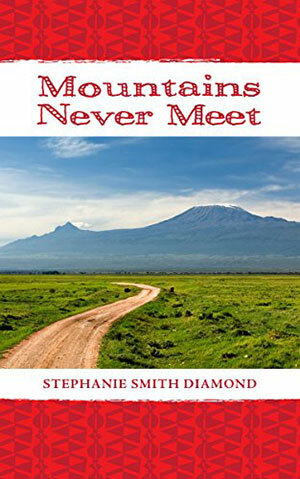 Stephanie Smith Diamond, the wife of Diplomatic Security Special Agent Mike Diamond, is a writer, editor, runner, hiker and traveler who has lived in Burundi and India, and traveled throughout the United States, Europe, Asia and Africa. 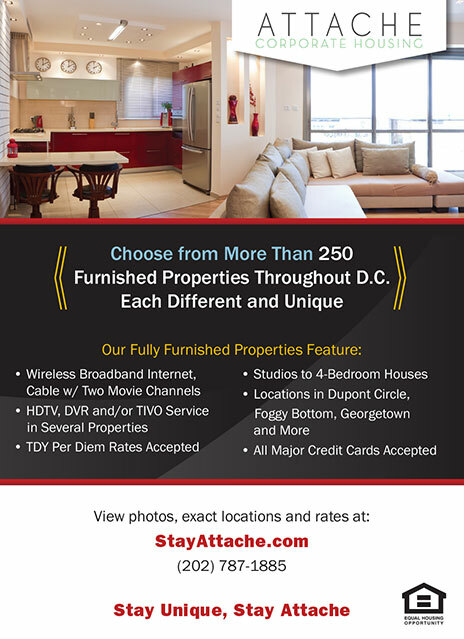 Having recently served in Bamako, the couple is now on assignment in the Washington, D.C., area. Kirk Wolcott, Victory Mansion Media, 2015, $11.99/paperback,$6.99/Kindle, 267 pages. Global terrorism and international sports collide in this riveting debut novel by American diplomat and former sportswriter Kirk Wolcott. As the world shudders, a group of young terrorists gathers in the hills over Sarajevo to choose their next victim. Racing from the power centers of Europe and America to an African jungle and then to an Asian island on the brink of civil war, Crandall encounters mercenaries and warlords—and falls for a beguiling human rights activist with a curious interest in his mission. With each new murder, the terrorists raise the stakes. But who are these extremists? What do they want? 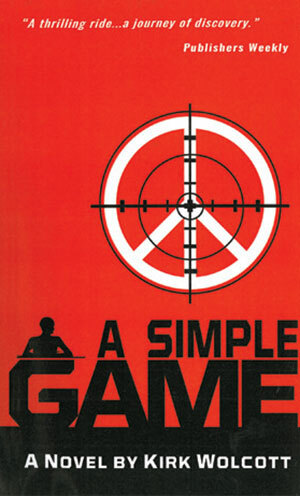 And is it possible the end to their bloody game somehow justifies the means? From the opening chapter to the shocking final showdown, A Simple Game sizzles with suspense, taking the reader on a wild ride through some treacherous territory where nothing is as simple as it seems. Kirk Wolcott, a Foreign Service officer since 2000, currently serves in Istanbul. He has focused his career on areas in conflict. 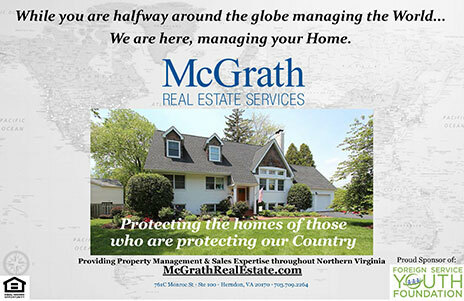 His previous assignments include the U.S. NATO Mission in Brussels, Kabul, Tunis, Sarajevo and Kuwait. Jack Tucker, CreateSpace, 2016, $20/paperback, 294 pages. 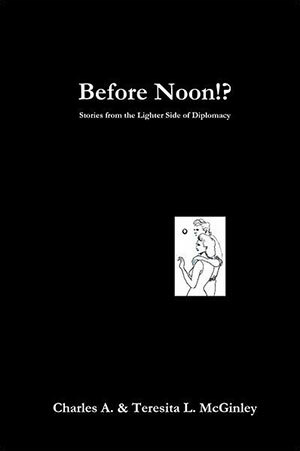 A compilation of nine short stories based on the author’s experiences during assignments with the State Department and the U.S. Agency for International Development, this is an enjoyable read for anyone interested in travel and dramatic tales of love and betrayal. Set in far-flung locales from El Salvador to the Caucasus and from Washington, D.C., to Saudi Arabia, the stories—though fictional—are based on real characters and experiences the author had during his Foreign Service career. They convey realistically, albeit in a dramatic fashion, many aspects of diplomatic life and work. The short story “Lost in the Caucasus,” for example, is about a forbidden romance between a Muslim and a Christian that ends in heartbreak. In “Wheels of Justice,” the narrator returns to El Salvador, where he was previously stationed, and comes to learn about the notorious past of a socialite over a game of poker. 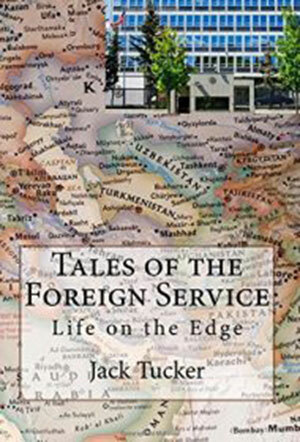 The author’s knowledge of the Foreign Service gives the stories an insider’s perspective, and the tales keep the reader entertained with vivid language and compelling plot lines. Jack Tucker is a former State Department Foreign Service officer, USAID contractor and reporting officer for the Organization for Security and Cooperation in Europe who worked and traveled for many years in the Middle East and Central Asia. The author of several books—including Innocents Return Abroad: Exploring Ancient Sites in Western Turkey (2012) and a second volume, Exploring Ancient Sites in Eastern Turkey (2013)—he currently lives in Maryland. Ann Gaylia O’Barr, CreateSpace, 2015, $7.99/paperback, 164 pages. 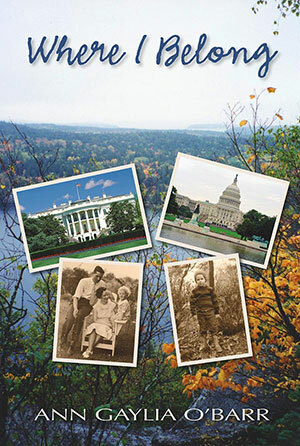 In this Foreign Service-inspired novel, former FSO Ann Gaylia O’Barr writes about Mark Pacer from Mocking Bird, Georgia, who arrives in Washington, D.C., for diplomatic training in the same year that his fellow Georgian, Jimmy Carter, is running for president. Despite his impressive academic credentials from a Southern university, Pacer’s distinct accent makes him an outsider among his A-100 classmates. While struggling to fit in with his cohort, he is haunted by the bitter parting he had with his father, who berated him for choosing such a “highfalutin’” profession. To compound his anxieties, Pacer is falling in love with a woman in his class, Reye Quinnell, who rebuffs his overtures. To make matters worse, Mark Pacer is wrongly accused of a hate crime against a fellow classmate of color, but seeks vindication by trying to find the real perpetrator. Where I Belong, the author’s seventh self-published novel, was a 2016 Selah Awards finalist. A Foreign Service consular officer from 1990 to 2004, Ann Gaylia O’Barr served in Saudi Arabia, Tunisia, Algeria, Canada and Washington, D.C. Besides writing, she works as a computer programmer and a historic preservationist. She and her husband and children live in Langley, Washington. Go to her website, www.anngayliaobarr.net, to learn more about her books or to read her blog postings. David P. Wagner, Poisoned Pen Press, 2016, $26.95/hardcover, $15.95/paperback, 222 pages. Orvieto— its name brings to mind priceless art, colorful ceramics and straw-colored wine, as well as the most famous cathedral façade in Italy. But as private investigator Rick Montoya knows all too well, this jewel of Umbria can have an ugly side as well. Rick’s fourth investigation should not have involved crime at all. It begins when he plans a short but romantic weekend in Orvieto with a woman he meets in Bassano. Less than a day after their arrival, an American visitor is brutally murdered. 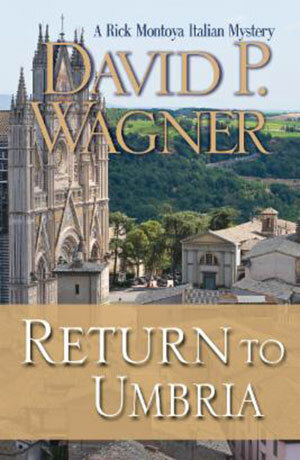 He learns that the victim had studied art in Italy decades earlier, so why did she return now? Then a second murder occurs in a public park, so close to Montoya that he wonders if he could have been the intended target. More violence erupts, some of it definitely directed at Rick himself. Eventually, he figures out the links among tantalizing secrets, concealed motives and risky behavior, set against a fascinating landscape and multiple layers of Orvieto’s past. David P. Wagner’s previous books in the “Rick Montoya Italian Mystery” series are Cold Tuscan Stone (2013), Death in the Dolomites (2014) and Murder Most Unfortunate (2015). He is a retired Foreign Service officer who spent nine years in Italy, learning to love all things Italian. 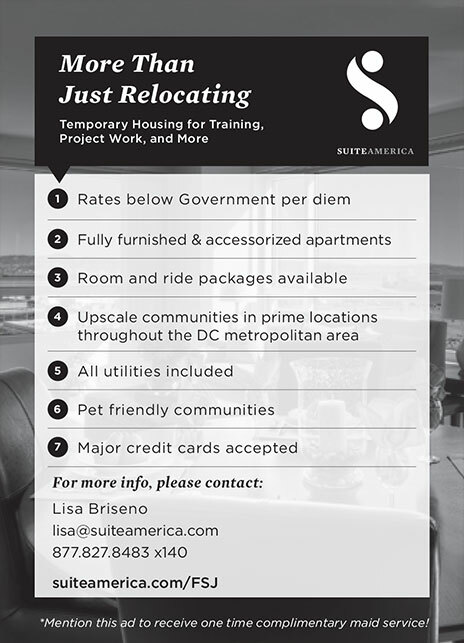 Other diplomatic assignments included Brazil, Ecuador, Uruguay and Washington, D.C. He and his wife, Mary, live in Pueblo, Colorado. Corrinne Callins, Callico Press, 2015, $14.99/hardcover, 34 pages. Written from the perspective of a little girl’s shoe, this book tells the story of Elizabeth Eckford, one of the “Little Rock Nine.” In 1957, Eckford and eight other African-American students were allowed to enter Central High School in Little Rock, Arkansas, but the school was closed the next year to prevent black and white students from intermixing. Corrinne Callins is the daughter of FSO David Callins, who currently serves in Dubai. Leon Weintraub, Mirror Publishing, 2015, $9.99/paperback, 26 pages. 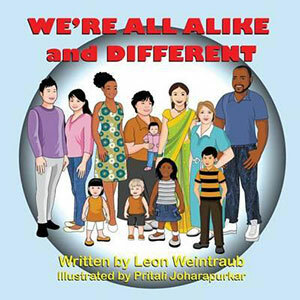 Written for children ages 3-9, We’re All Alike and Different is an excellent starting point for explaining tolerance. Beginning with the way people look the same (two eyes, 10 toes, 10 fingers) and different (eye and hair color, build, skin tone), and then shifting to how people think and feel similarly—we share pleasures, hopes, dreams and the joys of friendship—this book puts differences such as skin color into perspective for a very young audience. While it is easy to notice differences among people, a closer look will show we are not so different in our hopes and goals after all. Beginning with family, and then moving outward to other people in our neighborhood and beyond, we see and appreciate the great diversity in humanity. 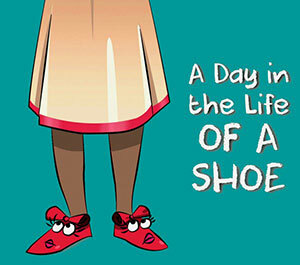 Colorfully illustrated by Pritali Joharapurkar, the book is printed in large type for easy reading. Leon Weintraub is a former Foreign Service officer whose diplomatic assignments included Colombia, Ecuador, Nigeria, Israel and Switzerland. He also served as a Peace Corps Volunteer in Liberia and did research for his doctorate degree in Sierra Leone. Edward August, Amazon Digital Services, 2015, $12.99/paperback, $4.99/Kindle, 252 pages. 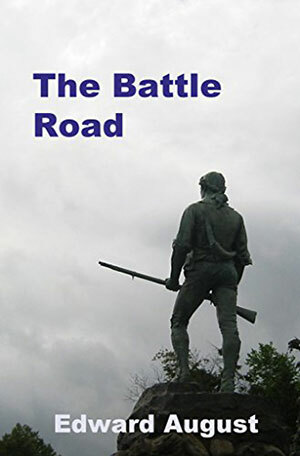 This work of historical fiction, inspired by the author’s visits to Lexington, Concord and Minute Man National Historic Park—with its five miles of Battle Road that have been restored to the original 1775 condition—is an entertaining introduction to the birth of America for young readers. When 13-year-old Jason Caldwell sets out to find his missing brother, he is transported through time to 1775, just before the start of the Revolutionary War. He builds friendships and experiences life 200 years ago, including Paul Revere’s ride and the shot heard ’round the world, as he discovers the necessity of fighting this war. Edward August, the pen name of Augie Dworak, is a retired artist and teacher who lives in a farmhouse in New Hampshire with his wife, Deborah. He is the father of Foreign Service Officer Sadie Dworak, who is currently serving at U.S. Embassy Beirut. Leah Moorefield Evans, Katie Jagelski, Patricia Linderman and Nicole Schaefer-McDaniel, eds., Talesmag Press, 2016, $12.99/paperback, 270 pages. 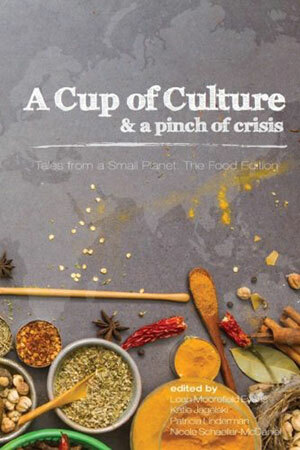 A Cup of Culture and a Pinch of Crisis is a collection of essays by expatriates that will open readers’ eyes to new insights about food, personal growth and the adventure of living abroad. Subtitled Tales from a Small Planet: The Food Edition, the book covers the gamut of experiences expats have in dealing with foreign cultures and climes, with food as the central theme. Among the anecdotes are stories of finding ingredients for the next meal, learning to love strange new dishes (like eel or edible chrysanthemums) and bonding with people over a meal in places both exotic and humble. The tales of trying new foods convey deeper stories—of making new friends, changing one’s outlook and overcoming adversity far from home. Foreign Service family members Leah Evans, Katie Jagelski, Patricia Linderman and Nicole Schaefer-McDaniel curated this tasty offering, working virtually from their homes in Mexico, Mongolia, Paraguay and Turkey. It is the first book published by Tales from A Small Planet (www.talesmag.com), a 501(c)(3) organization and webzine created in 2000 by a group of Foreign Service spouses who had previously worked together on the “Spouses’ Underground Newsletter” (known as SUN). Ranjini Manian and Joanne Grady Huskey, Westland Ltd., 2015, $25/paperback, $3.03/Kindle, 191 pages. The United States and India—the two largest democracies in the world—are entering a new era of collaboration in which culturally sensitive communication will play a dominant role in diplomacy and business relations. In Make It In India: Global CEOs, Indo-U.S. Insights, Ranjini Manian and Joanne Grady Huskey help further readers’ cultural intelligence by providing answers to some of the most common questions that arise in American and Indian business dealings. The book is written as an easy-to-read resource for Americans interested in doing business in India. Each chapter addresses a particular topic, such as creating positive first impressions, expectations and protocol when conducting meetings, forming teams and team dynamics, working and communication styles, working with women in the workplace, negotiating deals and global citizenship. 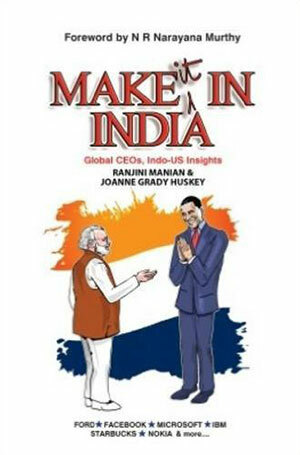 In each chapter, a series of questions related to the topic are answered by a selection of CEOs from Indian and American companies with experience in the Indo-U.S. market. “Tips” and “Facts,” set off for easy reading, are interspersed. 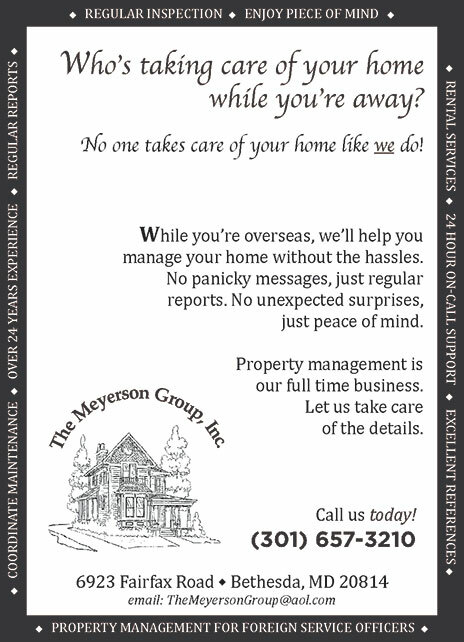 Ranjini Manian and Joanne Grady Huskey founded the expat mobility and cross-cultural services firm Global Adjustments in 1995. An intercultural coach to heads of multinational corporations, Ranjini Manian is the author of Doing Business in India for Dummies (2007). 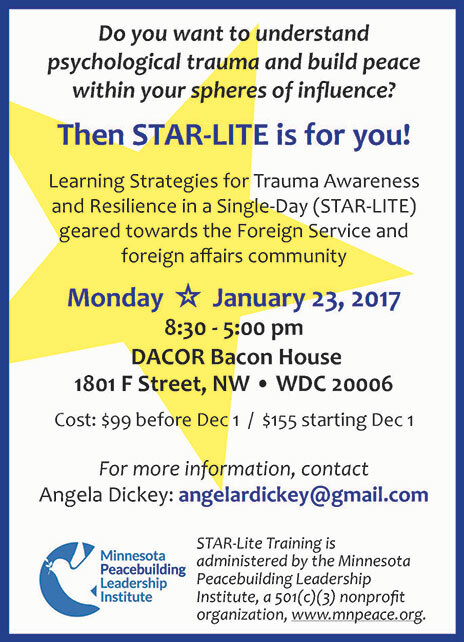 Joanne Grady Huskey, a Foreign Service spouse, is a cross-cultural trainer, international educator and the author of The Unofficial Diplomat: A Memoir (2009). Mikkela Thompson, Shutterfly, 2016, paperback, 26 pages. “Colombia is much more than cocaine and kidnapping,” says writer, painter and photographer Mikkela Thompson at the opening of this slim volume. In these pages, she takes us on a lively visual tour of Colombia’s people, sites, neighborhoods, food and fruit…as she searches for el dorado. Thompson’s goal was to try 100 new types of fruit during her stay in Bogotá. A Foreign Service office management specialist, Mikkela Thompson currently serves as an OMS rover in the Western hemisphere, after postings in Colombia and Bangladesh. The daughter of an FSO, she joined the Foreign Service in 2012. Her M’s Adventures in Bangladesh was published in 2014. To purchase these books and to follow her adventures, go to madventures.me. James Talalay, self-published, 2016, $20/hardcover, 82 pages. 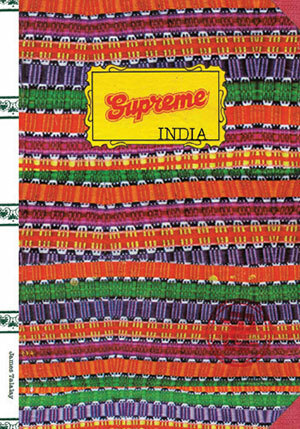 Supreme India is a moving celebration of India. James Talalay spent two years wandering through this vast country, photographing the details of everyday life away from sights typically featured in the images the West sees of the country. In this limited-edition volume, he finds and brings out the beauty in the prosaic and mundane, concentrating on regal composition and the presence of color in the world. Influenced as it is by Walker Evans’ images for the Farm Security Administration in the 1930s, Talalay’s work is a nod to historical truth and the significance of the patina of a country. His images capture the dignity and joy evident throughout India, despite the myriad difficulties faced daily by ordinary Indians. An American photographer, James Talalay has lived and photographed all over the world, most recently residing in India and Lithuania where his spouse, FSO Sarah Talalay, was posted. The couple is headed next for Malaysia. His photo of the Taj Mahal from behind launched the Local Lens monthly feature in The Foreign Service Journal (October 2012). To purchase this book, go to jamestalalay.com. Edited by Leah Moorefield Evans, AAFSW Press, 2015, $12.99/paperback, $8.99/Kindle, 308 pages. There is a treasure trove of hard-won practical knowledge about family life overseas within the Foreign Service community. But how can new FS members and their families access it? Have no fear! 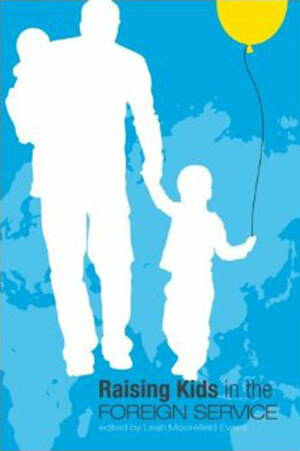 The Associates of the American Foreign Service Worldwide has come to the rescue with this collection of 32 essays, edited by Leah Moorefield Evans, covering a wide variety of topics important to parents living abroad. In its pages experienced expatriate writers share stories, experiences and research about pregnancy, education, travel, language, unaccompanied tours, safety, maintaining mindfulness and much more. Raising Kids in the Foreign Service will be especially valuable for families who are new to the Foreign Service and looking for a real, unvarnished view of FS family life. Those in the midst of raising kids in the Foreign Service will surely relate to these essays and probably find new ideas and information. Finally, it is a fun look back for those who have already successfully raised their own third-culture kids. Writer and editor Leah Moorefield Evans is a Foreign Service spouse. 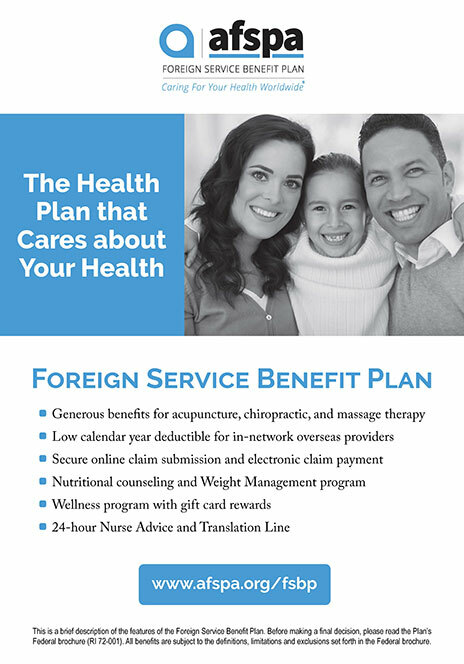 Associates of the American Foreign Service Worldwide is a nonprofit organization that has been representing Foreign Service spouses, employees and retirees since 1960. 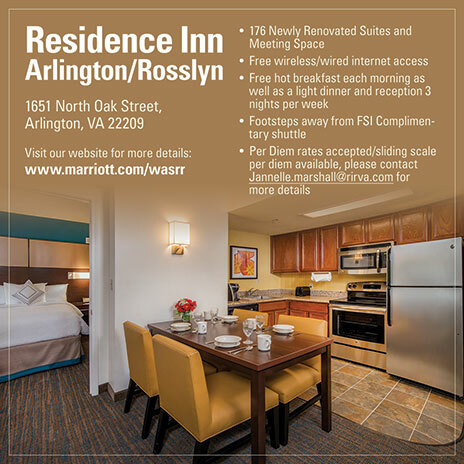 For more information, go to www.aafsw.org. Andrea McCarley, AGM Enterprises, 2015, $14.95/e-book. A charming, useful guide to touring various parts of Australia, this e-book is designed for first-time Australia travelers who have a limited amount of time and wish to maximize their itinerary—but don’t want to be constrained by a formal tour. The author has thoughtfully planned out 10 trips travelers can undertake, without a formal tour guide, in 10- to 14-day time slots. Each trip has maps, photos and recommendations for places to visit, as well as advice on what to bring, estimated travel times and other useful tips. 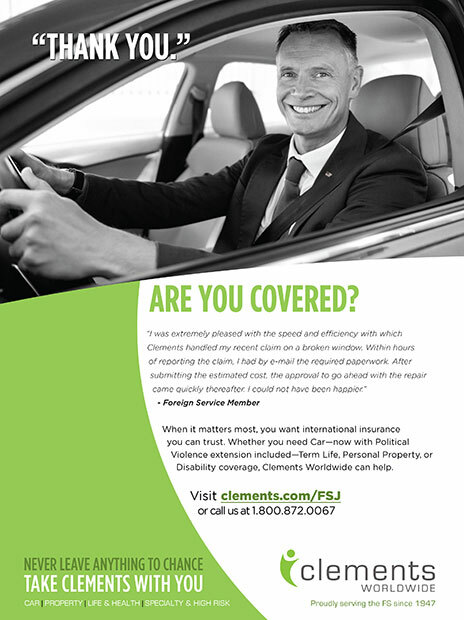 The book also provides important information, on such topics as obtaining a visa and auto insurance abroad, that is specifically targeted to an American audience. With more than 140 pictures and 500 up-to-date links that can be accessed on any device with an internet connection, this e-book is perfect for the technologically savvy traveler. 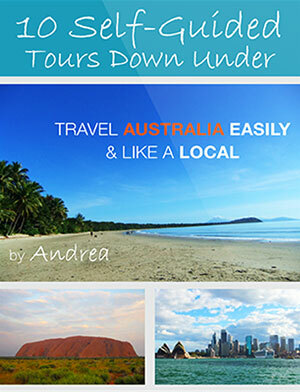 Chapters cover topics such as Australia with kids, the Great Barrier Reef and items of interest for culture buffs. 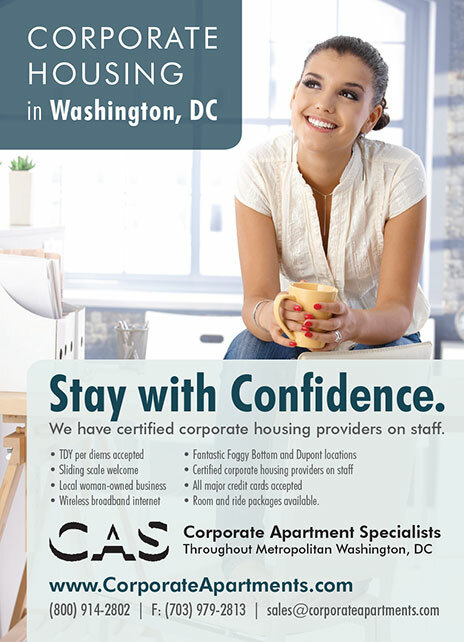 The text reads like a recommendation from an experienced friend, with humorous asides and a fun, conversational tone. Andrea McCarley is a former Foreign Service officer and private-sector information technology professional who has spent 16 years in Australia. She currently resides in Honolulu, Hawaii. To purchase this book, go to 10selfguidedtours.com.